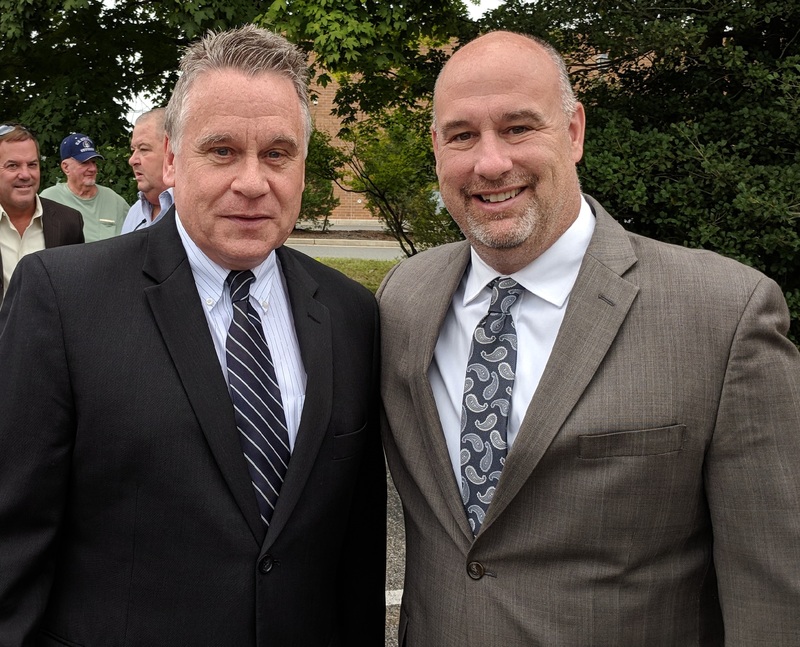 Manchester Mayor Kenneth T. Palmer, Congressman Chris Smith, Ocean County Health Dept. 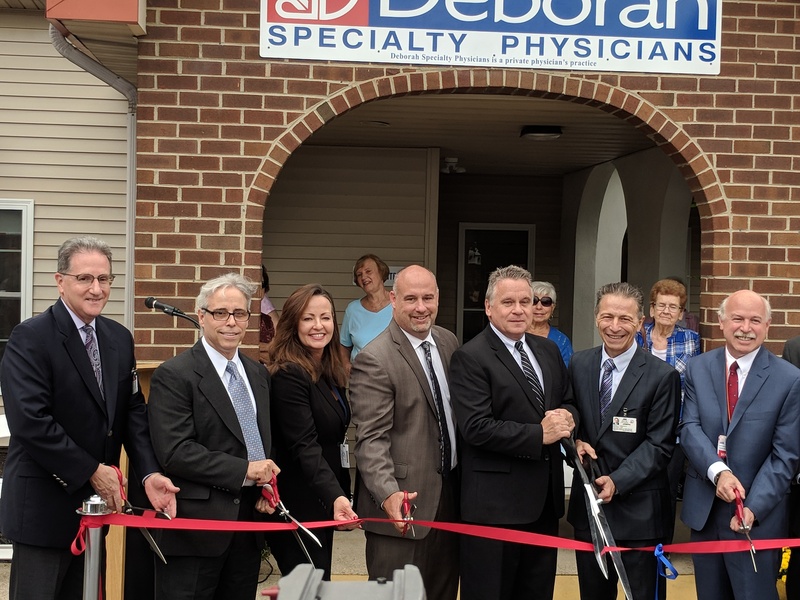 Director Dan Regenye and Ocean County Business Development Director Dana Lancellotti join dignitaries from Deborah Heart and Lung Center at the ribbon cutting ceremony for the new Deborah Specialty Physician’s Office in Whiting. Mayor Palmer welcomes the Deborah Specialty Physician’s Office to Whiting. 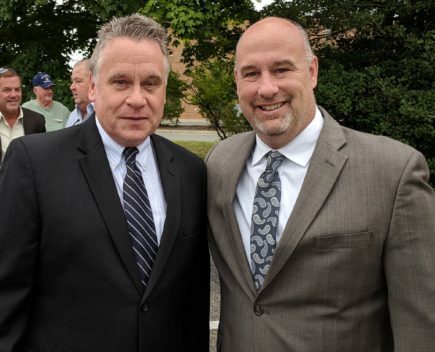 Congressman Chris Smith (left) and Mayor Kenneth T. Palmer at the Deborah Specialty Physician’s Office at Whiting at the September 21st ribbon-cutting ceremony. On Friday, September 21, 2018, Mayor Kenneth T. Palmer participated in a ribbon cutting ceremony at the new office of Deborah Specialty Physicians at the Crestwood Shopping Center in Whiting. The newly renovated cardiology office will offer cardiac consultations, echocardiograms, stress testing and other services. 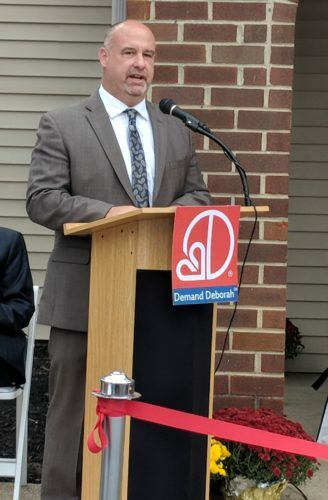 Mayor Palmer, Congressman Chris Smith, and other dignitaries joined in welcoming the new Deborah office to the Whiting section of Manchester Township. Deborah Specialty Physicians David Altimore and Scott Siegal will be available at the Whiting office as well as having staff privileges at Deborah Heart and Lung Center.